This is the time of year when people are buying topsoil for their landscaping and gardening projects. Topsoil varies depending on where you live, but essentially, with a good top soil, it shouldn’t have to be screened. With the screening process clay based soil gets run through a screener and a shaker which makes the soil appear good, but it really isn’t. What you want to look for is a good, sandy soil. Take a handful of it and break up the clumps between your fingers, if it crushes and granulates easily, then it is a good soil that will allow your grass or plants to grow roots in freely. If you look at a pile of topsoil and see marbles or little balls rolling down it, stay away! If you can take one of those balls and squeeze it and it flattens out, then it has too much clay base in it. The clay based soil has been screened, shaken and shredded so the soil appears to be healthy. The problem with this clay based soil is that after the first rain, the mud will basically turn into concrete, and nothing can survive that. Recently, I heard that good farmers were in the business of growing soil. Topsoil is hard to maintain much longer than it is placed down. I think I’m really thinking about researching a lot more on topsoil. Good to know. I would have thought the darker soil was the best. Apparently not. I’ve been buying clay. Thank you for the GREAT information. Thanks for the helpful information about topsoil. I like how you said that sandy soil is the best to try and find. We want to try and have a garden this spring, so I’ll keep this all in mind! Thank you for recommending the best topsoil that one can use in his or her garden. You made a good tip when you mentioned that sandy soil makes a perfect type of topsoil in order make the plants and roots grow easily beneath the surface. I will bear this in mind as I was planning to have the landscaping done in the garden. It defeats the purpose of beautifying the garden if plants and flowers won’t even grow in it. I’ll definitely seek the help of an expert to bring the soil that I need for my garden. This is some really good information about topsoil. I want my garden to be good this is a year and I think good soil can make the difference. It is good to know that I should be looking for a sandy soil. That wasn’t something I would have thought soil should be. 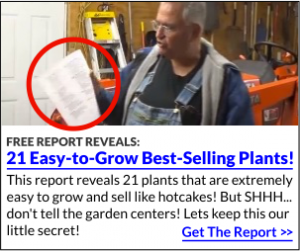 Thanks for the information about potting soil. I wish I had this information last winter. We purchased 60 bags of potting soil from Wall Mart and it was the worst purchase ever. I used it to pot off seedlings in my mini-greenhouse, and then into bigger pots, before potting into my vegetable garden. 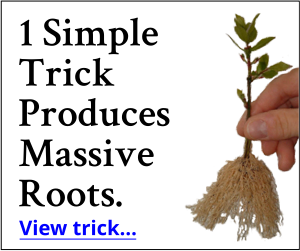 It was Miracle Grow and I thought that was supposed to be the best–per advertisement. It smelled awful, and I was allergic to its ingredients–I got the worst case of poison oak or similar allergic reactions I’ve ever had. It lasted for months even with trips to doctors, etc. I complained to Wall Mart by email. I never got a response. Never again! Marian, thank you so much for your kind words. You are very kind and keep those grandkids in line! Thanks so much for sharing this info about top soil. I think I might have thought that the one that looked more “moist” would be better! But, when you explained it, it made sense. I really appreciate all the tips you give us. Thanks, Mike! Good tip, going today to check a giant pile of top soil!!!!! in n.c.
planting area will this eventually drain well? Of course it is getting really wet right now and so will be later in April before we can get to the sand. Love your videos keep up the good work. Adding sand to clay will not produce good soil but a concrete like texture. What you need to do is add organic matter like fine pine bark leaf mulch , coffee grounds , leaf mulch , grass clippings , compost ,manure or even ground lump charcoal. It also helps to add powered gypsum, or even scraps of gypsum wallboard from a construction site . What mike is talking about is sandy loam soil which is very difficult to make out of clay . that short movie really help me a lot on picking out soil. That’s great! It really makes a big, big difference if you get good soil verse not so good soil. Bad soil is bad news! Is there anything I can use to amend topsoil that has too much clay? Hi! I have a topsoil question… if I have the clay type soil in my area, is there anything I can do to amend it for use in my raised beds? Clay soil can be amended with as much organic material as you work into the soil. Rotted leaf compost, or any other kind of compost. Of course depending non the severity of the clay it might be just better to build a new bed over that clay soil using really good topsoil. I purchased “The Backyard Growing System”. I’ve read it and I’m trying to decide where to put what. Hi, Yes you can amend the soil you have , but it may take some time depending on it’s current condition. So called commercial (bagged soil is not topsoil at all in most cases but rather a synthetic mix of waste products ) If you want good topsoil you can often get it from a construction site where they are building a commercial building (they have to remove the topsoil since it will not support the weight of the building . Do not buy synthetic or mixed topsoil , since it is way overpriced and not real topsoil. Note : there is no legal definition for topsoil so a lot of companies get away with selling their trash as topsoil . In your area look for black loose soil (delta soil or blackjack , or make your own by amending natural soil . Clay soil can be excellent growing medium as long as the texture allows for good drainage , and be careful about tilling when too wet or compacting it by walking or moving over it with equipment . im going to plant a hill i have if i put round up or another herbicide down before i plant will new plants be affected does any one know proper way to do this? If you spray with Roundup wait 3 to 4 days after you spray before you do anything else to the soil. In other words, do not disturb it at all for 3 days. After three days you can dig, chop til etc and plant. The roundup will not harm the plants that you are putting in. Others who are very much against the use of roundup for anything will argue this point, but I’ve been doing it for 40 years. Is this the killer everything in site roundup? educated on how to compare the different kinds and make the right choice! can I take vines from califorina and bring them to mid florida to grow grapes? Steve, as long as the zones from Calif and Florida are similar the plants should do fine. California has a number of varied climates and to my knowledge Napa Valley is cooler than other parts of the state. the info on the soil is very good . only one problem and that is when I buy soil many times it’s by the bag and that opportunity of squezing is shot down. I am looking at starting a Greenhouse and wondering if it is really necessary! Lee, a greenhouse? A greenhouse can be fun, but I teach my Backyard Growers http://freeplants.com/wanted.htm how to grow thousands or tens of thousands of plants without a greenhouse. So no, a greenhouse is far from necessary, but many people like them. Keep in mind, I’m in zone 5 and I do not use a greenhouse at all. All of my little plants spend the winter outdoors doing what they do.